A soft sneaker that's comfortable and offers protection against outdoor elements. 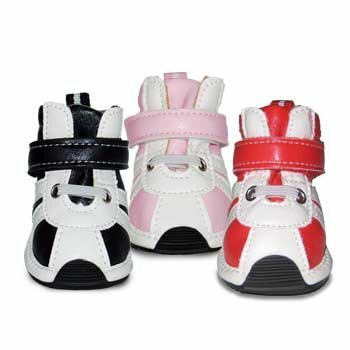 The Runner Girl dog boots feature a flexible non-slip rubber sole, adjustable Velcro strap, and water resistant faux leather. Measurements are of the inner sole base in inches.